Thanks to BHPian deetjohn for sharing this with us. 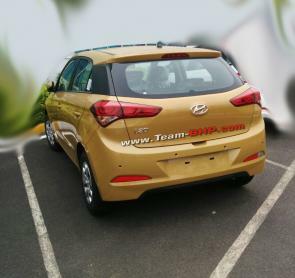 The upcoming Hyundai i20 hatchback has been spied completely undisguised. Hyundai has been testing the next-generation i20 extensively in India. 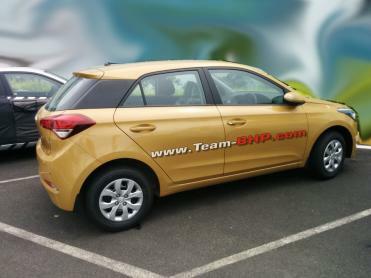 The car has been spotted on our roads on numerous occasions, and each time the car was heavily camouflaged. This time though, we have pictures of the car with no disguise whatsoever. 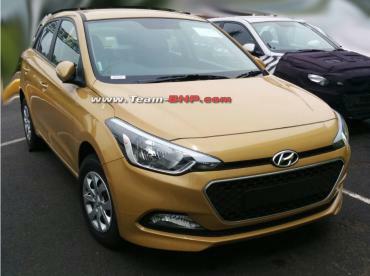 From the pictures, the new i20's design appears very European. The front end is inspired by Peugeot's designs. There is a redesigned honeycomb grille placed lower with a thin horizontal slit above it out of which the bonnet lines and headlamps seem to rise out. The headlights have metal inserts and the number plate housing is located on the grille. At the rear there is a restyled tailgate and elongated wrap-around tail lamps. The car's bumper has been redesigned as well with integrated reflectors, located lower down than the current model. The i20 has a sporty look with a sloping roofline and blackened C-pillar. While not much is known about the powerplants that will power the car, it is likely that Hyundai will carry over the 1.2-litre and 1.4-litre petrol and 1.4-litre diesel engines from the current i20. The next-generation i20 is expected to be launched in India later this year.